When and how did you get involved with SHARE? My first exposure to SHARE was brief, but set the seeds for my involvement today. Immediately after my early stage diagnosis of breast cancer in April 2005, I sought as much information and support from as many sources as I could. A friend introduced me to Anne Grant via email, and though she and I never met in person, we carried on a correspondence and phone dialogue that supported me throughout that year of treatment. I attended a couple of SHARE support group meetings in 2005 and was to be forever grateful for the support I received that year as I put breast cancer behind me and moved back into my normal life. Or, so I thought. In what ways have you been involved with SHARE? I reconnected with SHARE serendipitously in 2014 at an NBCC workshop when I inadvertently swiped the seat of a SHARE attendee. 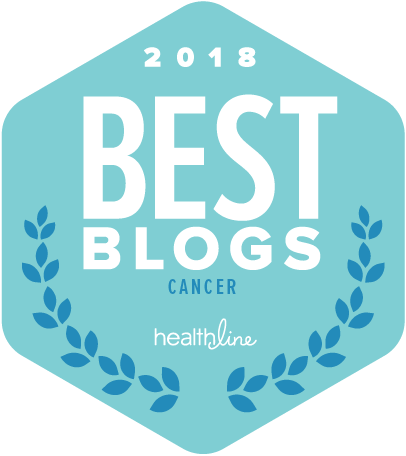 I had been diagnosed with metastatic breast cancer to my bones in May 2013; when it progressed to my liver in early 2014, I thought I ought to figure out a better way to live, focused on curing cancer – my own and everyone else's. My participation in the NBCC Project LEAD workshop that fall was the beginning of my exploration into the world of patient advocacy, but I think I already had SHARE floating around in the recesses of my brain. By sitting in the wrong seat that Saturday morning, I fortuitously met Christine Benjamin, director of breast cancer programming and was on my way to becoming a SHARE volunteer. By that Monday, I was sitting in SHARE's offices with Christine, discussing all the incredible things that SHARE does and how I might help (and be helped by) SHARE. Like so many SHARE volunteers, I started out being trained to work on the helpline and also became a peer volunteer for other women living with metastatic breast cancer. SHARE received funding to expand its programming for metastatic breast cancer, and in early 2015, I began co-facilitating a telephone support group on alternate Thursdays. We also did a trial in-person support group series, which was popular enough so that in 2016 we made it a permanent part of the programming. I also helped develop and coordinate a metastatic meet-up for women living with metastatic breast cancer, coordinating the efforts of SHARE, the Metastatic Breast Cancer Network and MSKCC. Through my association with SHARE, I have also had the opportunity to participate in focus groups, media campaigns, educational sessions and other SHARE-sponsored initiatives. I also recently became a member of SHARE Leaders and look forward to contributing in this forum. My internal mantra has been that I say yes to every opportunity that moves us forward in providing support, understanding and awareness to those living with cancer. How has SHARE helped you? One of the wonderful things about SHARE is that we are all peer volunteers (even SHARE staff are often peers). As a peer, I find that my relationships with helpline callers, support group participants and other volunteers are perfectly reciprocal. This means that for every ounce of effort or time I put into my involvement with SHARE, I receive it back manifold. There is so much opportunity to learn and find support from others living with breast cancer. And each time I provide some assistance to a caller, I know that I am passing along something that I learned from someone else. A recent support group meeting brought this home to me in full force: one of the participants was struggling with the complex web of Medicaid/Medicare and getting funding for her needed medication. The amount of knowledge and support provided by the other six women in the room was amazing, as was the incredible warmth and concern with which it was delivered. It was a great privilege to be sitting at that table that day. What is your 40th anniversary wish for SHARE? My long-term wish is that in another 40 years (and hopefully much sooner) SHARE's primary purpose will no longer be relevant – that the need for providing support to women with breast and ovarian cancer will be a thing of the past and that SHARE's primary educational mission will be a historical view of the way things used to be back before we had found a cure for these cancers. But, for this 40th anniversary year, I wish SHARE much congratulations and gratitude for all the work that the organization has done and is doing for those of us living with breast and ovarian cancer. Beth Kling is the former Communications Director at SHARE.